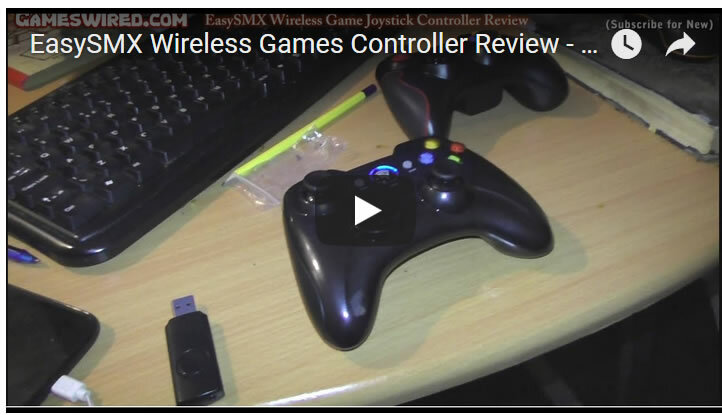 【Universal Compatibility】EasySMX KC-8236 Wireless Game Controller supports PS3, PC, Android phones and tablets, and it is compatible with Windows XP/ 7/8/10 and Android 4.0 or above. 【Wireless Connectivity】10m(32.8ft) connectivity range covers the living room and bedroom. No wires, no mess, no hassle. Just wirelessly connect to your device and get to the gaming. 【Dual Vibration Feedback】Asymmetrical linear motor put you in the center of the action, giving you immersive gaming experience with multi magnitude of vibration feedback. 【Ergonomics】The non-slip grips are designed for improved stability. The indentation and textured surface of the joystick fit your fingers snuggly and prevent slips in intense games, giving you full control. 【Battery Operated】The wireless game controller has an embedded lithium battery and it has a smart sleep function, increasing battery efficiency. It comes with 18-month warranty. Ensure your are subscribed to our channel for new videos.